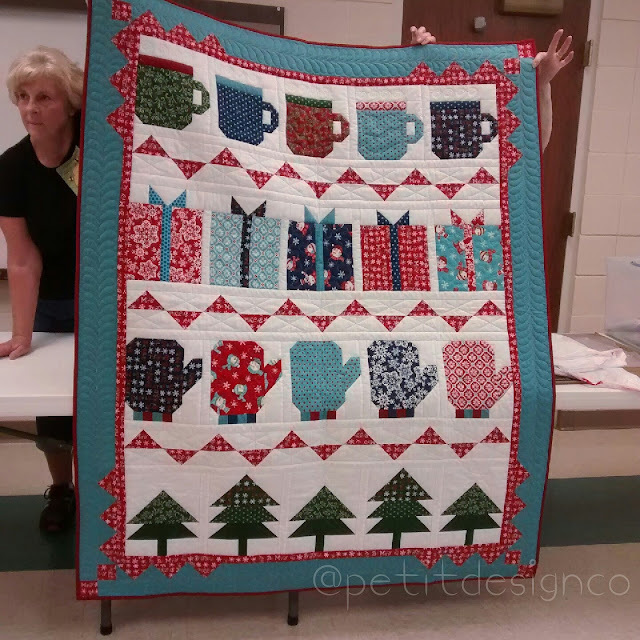 It's been a little over two years since I was able to go to a quilt guild meeting. Things have finally aligned and I have joined my local quilt guild. I now have a guild to call home and I'm looking forward to getting to know all the other ladies. I had been wanting to check it out but was unable to do so because they meet on a weekday during the day. Now that my youngest is going to a Mother's Day Out program I get to have a little fun time. 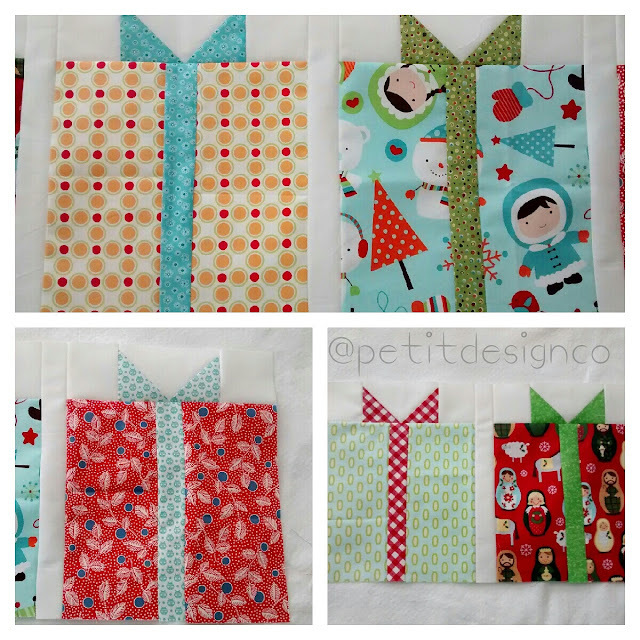 I was able to complete my row of presents which was the only thing I was able to get cut out before the class. I decided to just use the fabrics I have on hand rather than buying more fabric. I son't have a lot of Christmas fabrics so mine is based on the cute Riley Blake print that has been in my stash for a while called "Colorful Christmas." Yesterday I was able to complete the row of mugs. 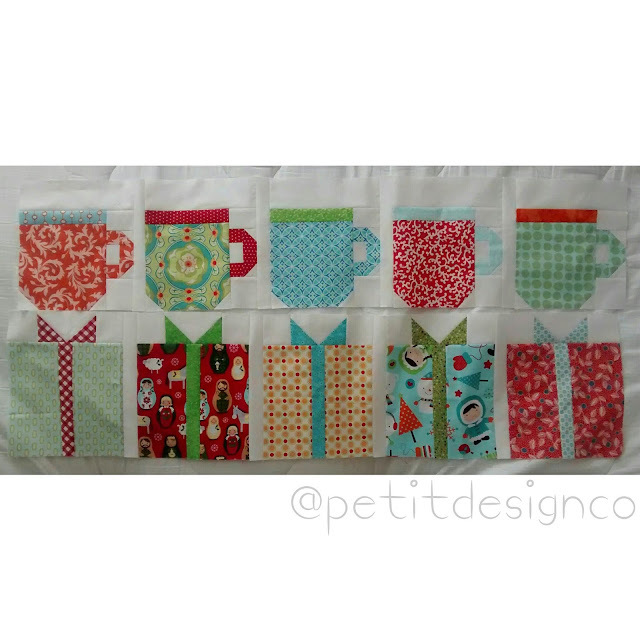 The cutting of fabrics is a little tedious but I am enjoying working on one element at a time.